For more than two decades Richard Gardiner has worked within the industry, and is now a key member of the academic staff at the Penrith-based college. Richard Gardiner, the newest member of the agriculture teaching staff at Newton Rigg College. Richard's interest stems from his student days when between 1988 and 1991 he studied agriculture and horticulture before entering the world of work, initially as a farm worker for Edenhall Estates. His career there sadly came to an end in 2001, when the livestock was lost to Foot & Mouth and was never re-stocked. A year travelling and working on farms in Australia and New Zealand followed after which he worked with his uncle on the family farm in Kendal, where, when he has time, he still helps out. An approach from H&H Kendal Partnership (now North West Auctions) saw Richard begin work there as a livestock fieldman. There his role ranged from procuring livestock for live ring sales, sourcing cattle and sheep on a deadweight basis, buying and selling livestock on behalf of customers as well as assisting on sale days across all livestock. He will also be known to many as the former Chairman of Penrith Show (2012-2015) where he was also joint Chief Cattle Steward, and as the Young Farmer of the Year in 1994. 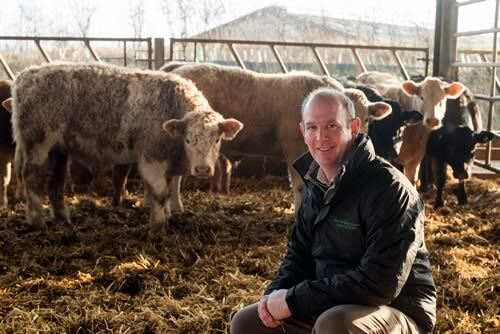 Latterly he has taken on cattle judging roles including at the East of England Christmas Prime Stock Show and at local shows. Richard home is in Penrith. He is married with two children.